A couple of weeks before I was due to depart for Marrakech, my excitement turned into anxiety. I had overheard from someone that Morocco wasn’t a safe place for a woman traveller, and, being a natural worrier, really freaked out. Coffees with my female friends who had been to Morocco turned into quizzing them about their travel experiences. 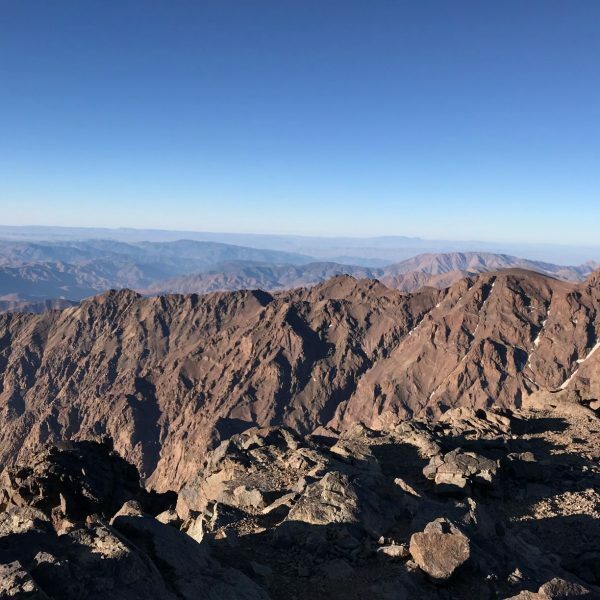 I no longer cared about the beautiful landscapes and the incredibly affordable Argan oil – all I did was query them about whether they had experienced any trouble. I realised that I must put an end to this madness when I woke up in the middle of the night with a pounding heart a few days before my trip. So I packed my bags (with plenty of space for purchases from the souks! ), and went to see it for myself. And let me tell you this: don’t let the horror stories put you off. 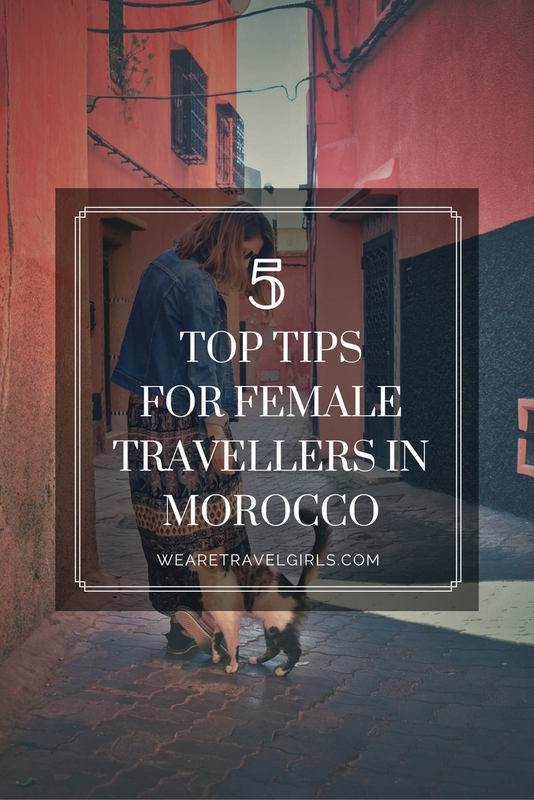 Morocco is a beautiful country with amazing people and culture, and is as safe as any other place for a female traveller – if you play by the rules. I don’t mean to sound like a bore, but if you’re heading to Morocco, choosing suitable clothing is key. The outlook there really differs from non-Muslim countries. Women who wear clothes that would never seem too revealing in Western culture (a knee-length skirt, really?) could offend the locals there – especially the older generation. While many Moroccans are very tolerant and modern, religion plays a huge part in their culture, and people, especially in rural areas, are generally more conservative. Body parts such as legs and shoulders are considered private and should be covered in public. Western women also tend to receive a little too much attention from local men, and wearing clothes that are revealing could make unpleasant experiences more likely. 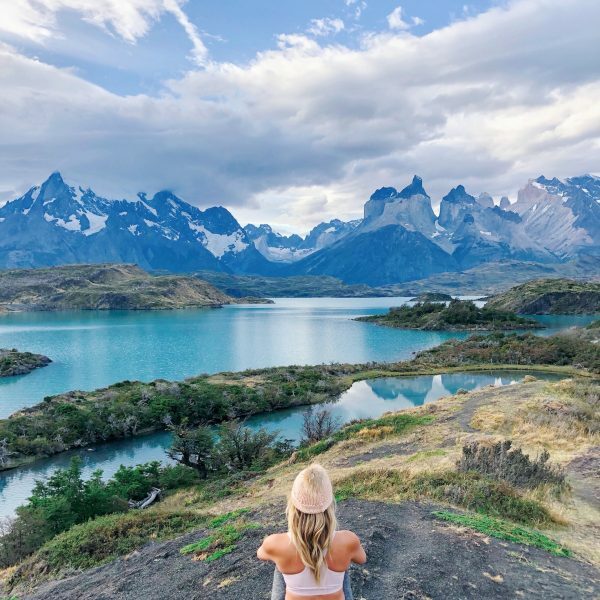 Being a travelling female who stands out from the local crowd means that there will be men whose attention you’ll attract, even if you’re wearing loose-fitting clothing. It could be that all they’ll do is look at you, but they might also make comments, or try their luck and see if they can start a conversation with you. Tip: You may find the compliments and the gazes flattering at first, but it’ll get annoying after a while. My tip is to simply ignore. This may sound a little bit odd, but I was advised to keep my smiles to a minimum when mingling in the souks or busy areas by the manager of our riad – and I think it’s one of the best tips I received. 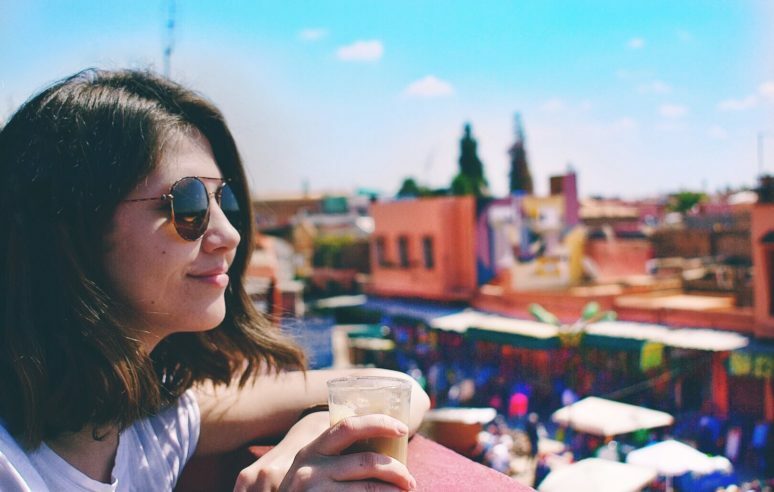 Since I’m used to wearing a constant grin on my face, I found it challenging at first, but when I realised that it was making my life in Morocco much easier, I gladly wiped that grin off my face. Oh, and don’t forget your sunglasses. Yes, it’ll most likely be sunny, and your eyes need to be protected, etc. etc., but you’ll find that’s not their only use. Sunglasses are a little magic trick that helps you avoid unnecessary eye contact which could lead to men trying to engage in a conversation. I’ve never said ‘no’ as much as during my trip to Morocco. We’ve had people randomly approach us on the streets and ask us where we’re from, where we’re staying, telling us that they can show us a quicker way (no, we’re not interested in a shortcut that requires us to go down this dark alleyway with you). Similarly, in the souks, everyone will try and get you to come into their shop so that they can ‘show you something’ (and make it difficult for you to leave without buying their stuff). And don’t even get me started on the local kids promoting restaurants in the touristy areas, such as main squares. They’ll follow you around until they hear you say ‘no’. Tip: If someone starts bugging you or trying to sell you something that you’re not interested in, just say ‘Non, merci’ and carry on walking. It feels odd (and rude) to do that at first, but it’ll save you a lot of time and energy. If you are on a quieter street when someone starts bothering you, it’s best to make your way to a busier road – being surrounded by people means that you’ll also be surrounded by tourists, and that immediately makes the situation safer. If their behaviour is persistent or starts getting aggressive, just tell them you will call the police, and they’ll back off. If not, actually find a police officer to tell – they take tourist complaints about harassment seriously. Sure, the idea of taking an evening stroll in the medina of Marrakech, Fez or any of the other lovely Moroccan cities may seem romantic. The truth is, the adorably quiet terracotta streets that look so attractive in the day can have a really different vibe in the dark of the night. Especially if you are staying in the old town/medina. 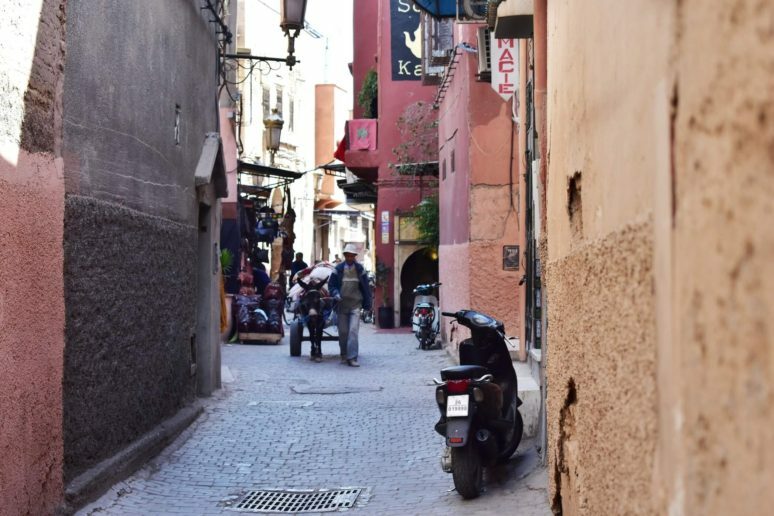 Those quiet streets can create perfect hangout spots for local criminals and opportunistic thieves, who know that unsuspecting tourists will be returning to their riads after dinner in town. Same applies (even more so!) to remote areas, such as beaches, sand dunes and forests. You should never ever hang out in places like that alone at night – not even with a friend or partner, really. 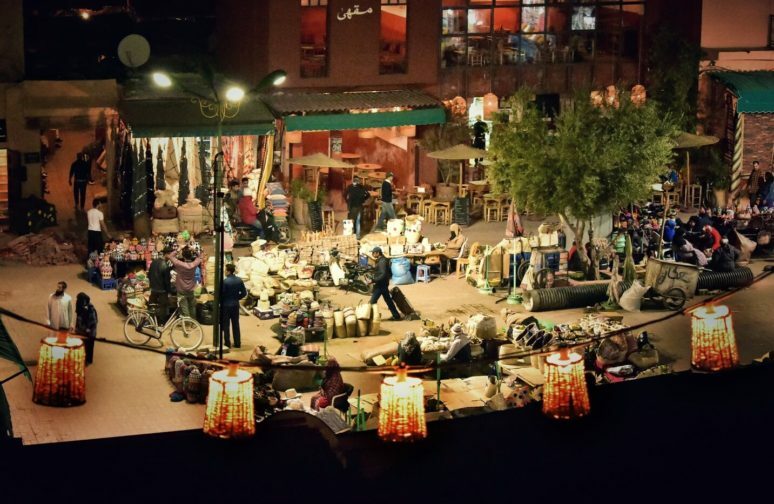 Daytime Morocco is pretty mad – but night-time Morocco is just too unsafe. Tip: If you’re visiting a Moroccan city, best to do your exploring in the day and grab a taxi if you’re heading out or back to your riad at night. Taxis in Morocco are really cheap (ask your taxi driver to use the meter and agree a price upfront to avoid surprises! ), and the staff of your riad will be happy to organise it for you. 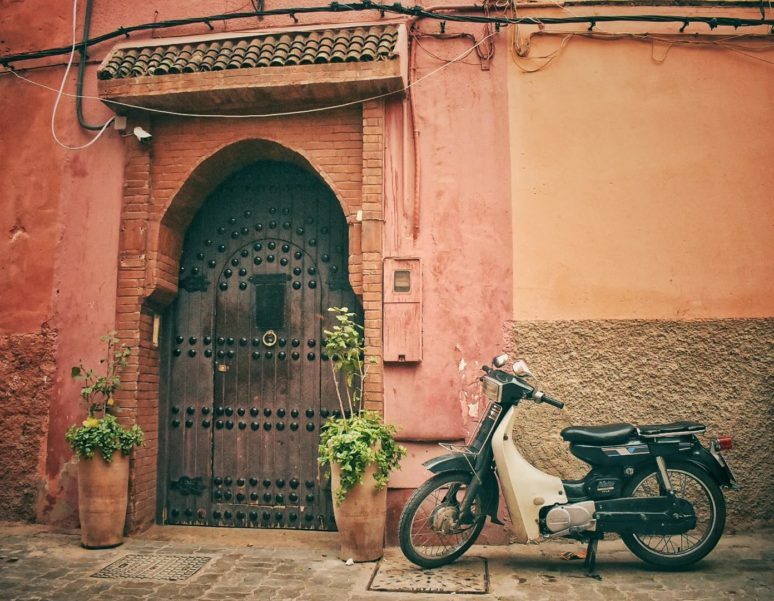 If you’ve spent a lovely evening in the medina tasting tajine and sipping mint tea, why not hop on a tuk tuk for a fun, quick and quirky way to get home? Tuk tuks are a perfect vehicle for those little streets, which could be tricky to navigate in a taxi. Don’t be afraid to ask the manager of your restaurant or bar to book one for you – they are normally really happy to help. If you’re keen to visit the remote areas of Morocco, book a tour through your riad. Disagree? Well, not if you are a Moroccan driver. Two words perfectly sum up the situation on the roads of Moroccan cities: absolute mayhem. Reckless drivers, pedestrians and stray cats all share road space and you are rarely more than an inch away from a vehicle of some sort. 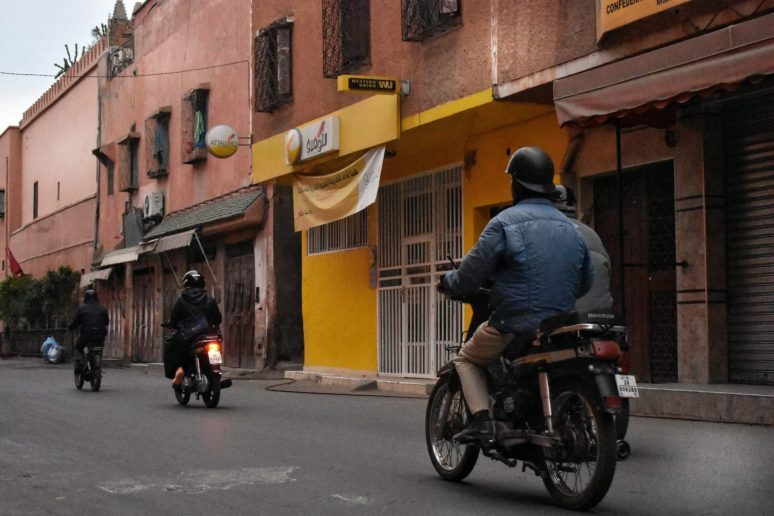 Don’t be surprised to see a whole family on one moped – yes, four people riding a moped in Morocco is a perfectly normal occurrence. In all seriousness, roads are really quite unsafe in Morocco and it’ll take you a little while to get used to their pace. Tip: As a pedestrian, be aware and very careful on Moroccan roads, especially in the big cities. Somehow, the mayhem just works, and after a few days you’ll get the hang of it and begin to navigate these streets more confidently. But do stay switched on at all times. If at any point you’re unsure of how to cross a particular road…follow the locals (sensibly). They do it with such ease that it makes you envious. Morocco is a unique place, and it should definitely be on your bucket list of countries to visit. When you know how it works, it’s just as safe as other places for a woman – but it’s important to be a ‘switched on’ traveller there. I fell in love with Marrakech, the Ourika Valley in the Atlas Mountains and Essaouira, and can’t wait to go back to explore other parts of this awesome country. 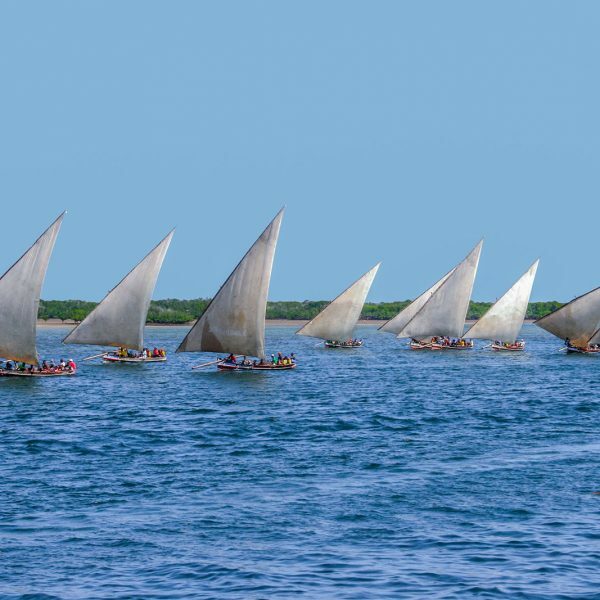 I hope that if you’re deciding whether or not to take a trip to Morocco, you go for it – and if you’re already going, drop me a note at info@borrowedroads.com for more tips on how to travel safely in Morocco! 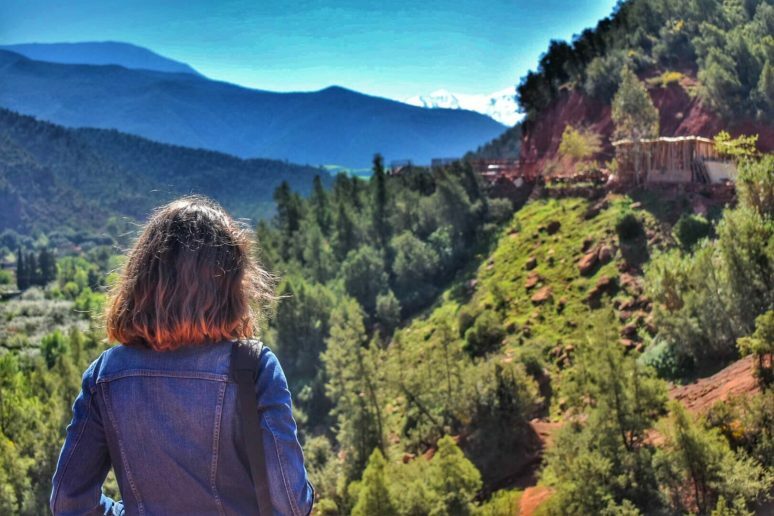 Editor’s Note: Another great way to see Morocco in a safe and organized way is to join one of our Travel Girls Getaways! View all of our trips, including Morocco, here. We hope that this article has inspired you to visit Morocco. If you have any questions about the destination or have your own travel tips to share please leave these in the comments below. Great tips and LOVE your photos! What camera do you use? Morocco has skyrocketed to the top of my travel list recently and these tips are great advice. Thanks! Hi Caitlin, thanks so much for your comment and glad you enjoyed the post! I visited Morocco last year with my husband. I enjoyed the article although I do feel if your walking at night with a partner, especially around Marrakech it’s very safe. Loved the city beautiful destination!!! It’s such a dangerous city – my husband was walking on his own in broad daylight at lunchtime only 10 minutes out from the tourist main centre/medina in a more local area, and he was mugged by 5 men demanding money. he managed to get away. The second week we were in Marrakesh, we were almost robbed, but we had a lock on our bag. I’d say spend three or so days there, but only stick to the tourist areas. I’ve been feeling the same stress lately about going as a woman to Morocco. I’ve been to Portugal a few weeks ago and even there are men who glare and make stupid comments. I have almost white hair in summer which attracts a lot of attention since it’s an uncommon haircolor under the locals. Some men apparently think that’s a free pass to harass me. Thanks for your tips! They’ve made me calm down a bit and made me realize that if I stick a little by these guidelines I’ll be safe. Hi this is a really interesting post. I have a daughter who is planning on going to Morocco surfing for the second time but is intending to stay in Marrakesh for a few days after the surf trip. She’ll be going with a uk female friend both blonde girls. Last time they met a sort of tour guide who has offered them accommodation in his apartment in Marrakesh for their stay. I have tried to advise that this is not a sensible idea as they don’t know him well enough and they would be safer in a hostel or hotel. The girls are both at Uni but neither of them have done much travelling without family. If you have any advice that I can pass on it would be welcome. I don’t think they understand the cultural differences. Wonderful Post, Educational with lovely pictures. Morocco is a really nice place and my favorite place for traveling. I am happy with your blog because I got my favorite traveling place information blog. Really you share the actual right information. 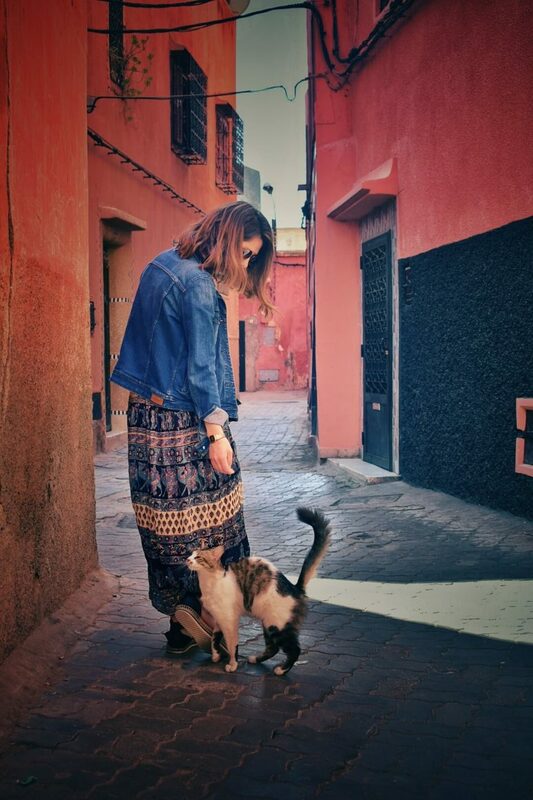 Thank you so much you share the valuable info about Morocco female traveler safety tips. It’s a very helpful blog for the female traveler.